This week’s challenge was an interesting one, because it’s based 100% on a real world situation from a track that’s very special to me personally. The answer to the bonus question was Daytona International Speedway! The section of track here that we’re looking at is the West Horseshoe, just after the kink. The answer to the primary question – Red or Blue: is Red. Breaking this down there’s really only one difference here between these two line choices, the entrance into the right hander – blue opens the corner up by swinging back to the left, while red dives straight in and enters low. 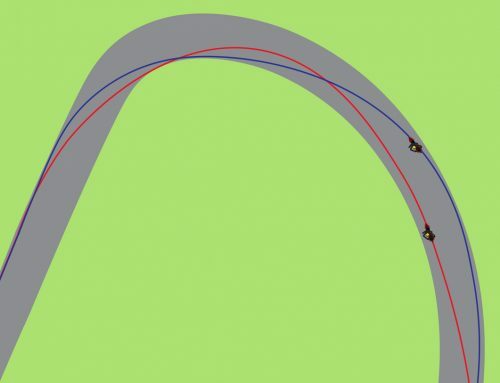 Both lines come back together in the middle of the right to hit the second apex here. So as we’ve mentioned, Red has the better line here, but the big question is – WHY? 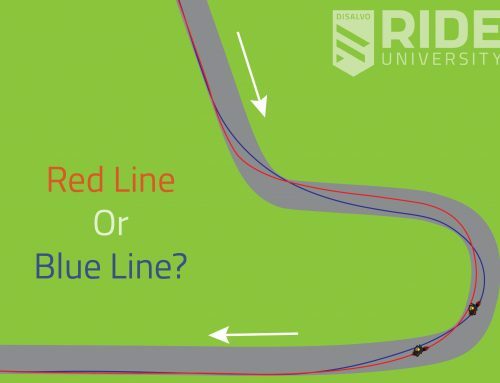 There’s one very simple reason why we want to choose Red over Blue in this example and it’s because red makes such a nice straight line on the brakes. We talk about this concept a TON in our Ride University Events and in our Braking 1 and Braking 2 Online Courses. The more upright we can keep the motorcycle under braking, the MORE we can brake. 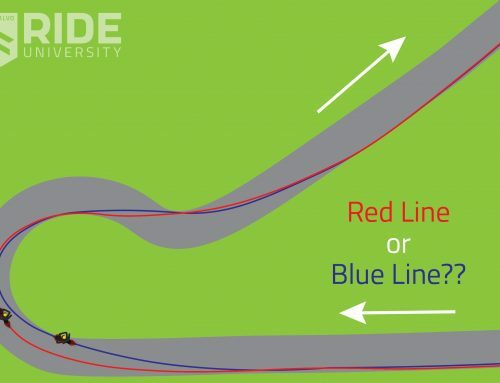 In this photo we can see the highlighted yellow area where the red line rider has quite a bit of time going straight AND having their bike straight up and down. This creates ample time to get the bike slowed down. This means he can carry more speed and maximize his drive out of the fast left hander – a luxury not afforded to the blue line rider. 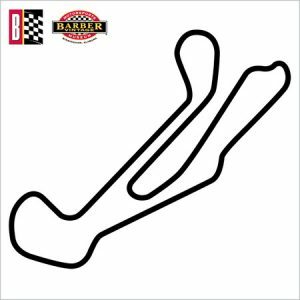 It also means that should he get in a little bit too deep into the right hander, he has the option to simply hold the brake a little bit longer and run a wider mid-corner line through the right hander. On the other hand, blue line rider doesn’t leave much margin for error and also creates a swooping line that will limit their time straight up and down. 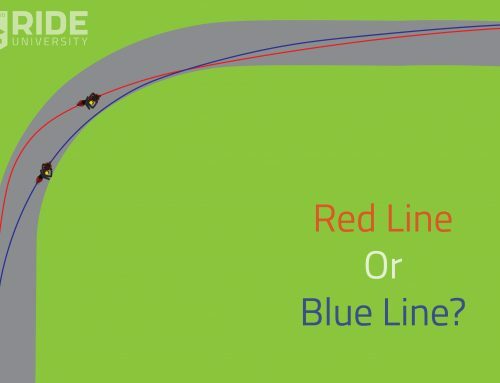 You can see in the two circles highlighted in yellow above, the blue line rider is holding their lean angle to the left after the kink, which doesn’t allow them the time with the bike spent straight up and down that red gets. Following the swing-back to open up the right hander, they immediately have to add lean angle to the right in order to make the corner. 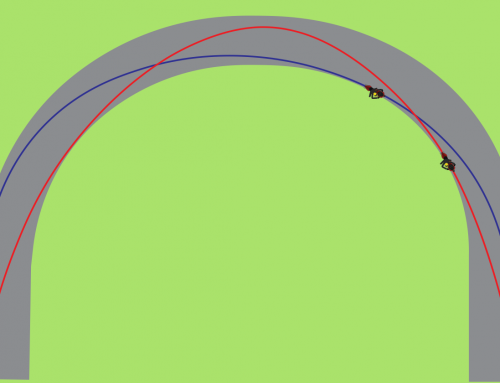 This does a few negative things – 1) It forces them to get off the brakes because they’re adding lean angle and, 2) It puts them nearer to the edge of the track so they have less margin for error AND 3) It causes them to actually have to turn MORE to get the bike pointed the direction it has to go mid-corner in the right hander to line up and hit the exit apex on the inside perfectly. 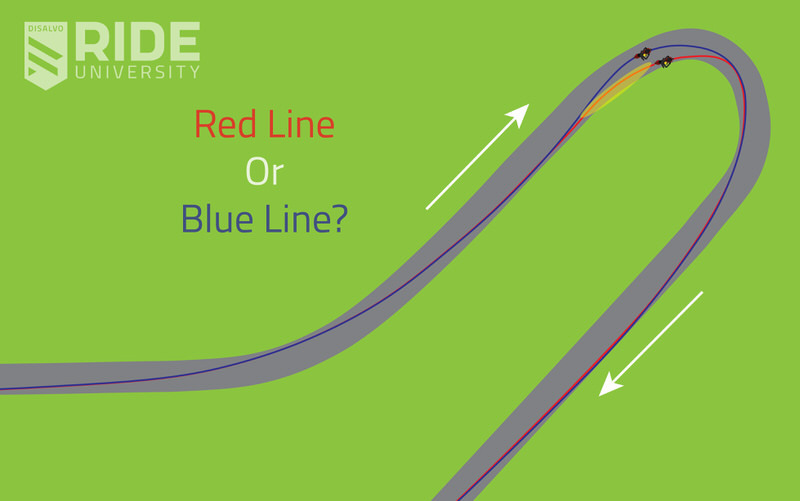 Another great Red Line / Blue Line challenge with awesome response and comments online. Feel free to drop you questions and feedback here in the Comments section as well!